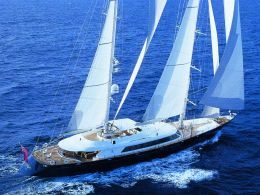 Leader in the Italian market of painting products for leisure sailing shipyards and boathouses, and leader in the painting cycles of superyachts. 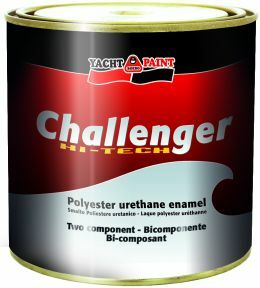 These important primacies belong to Boero Yacht Paint, one of the best-known companies in the area of leisure sailing, which thanks to a constant policy of growth, together with targeted acquisitions of other important producers and brands of paints, has become a real and proper industrial group, able to compete in the specific sector also at international level. 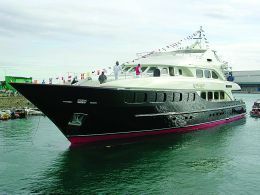 Continuing scientific research, organisational effort, product quality, service efficiency and passion for the sea, have led to the production of a series of highly specific and reliable paints by Boero Yacht Paint, used widely in the sector of superyachts where noble shipyards like Perini or Mondomarine have chosen them to coat and protect the hulls and superstructures of their prestigious yachts and motoryachts. A typical example is the "Blue Belle", a wonderful forty-meter recently launched by Mondomarine, for which only Boero yacht Paint products were used. In detail, the painting cycle is broken down in the following manner: Superstructure: Delta 2000, Epolight Win/Plus, Epomar/Epospray, Delta UC HB, Admiral UC, Challeger Hi-Tech or similar. Hull: Delta 2000, Epolight Win/Plus, Epomar/Epospray, Delta UC HB, Admiral UC, Challeger Hi-Tech or similar. Underbody: Delta 2000, Delta UC HB/ Delta 2000, Antifouling Top 625. The commitment of the Genoese company to the leisure sailing sector does not end here. In fact, to offer tangible support, which does not stop at the supply of quality paints, together with a pool of leading companies that supply goods to shipyards, namely Belotti, Rupes and 3M, Boero has decided to increase the visibility of its products with those who care the repair and maintenance of boats, with the aim of increasing the confidence with the new paints and their new treatment methods. The meetings, the first of which has enjoyed great success, will take place nation-wide to cover the areas with the greatest concentration of boathouses: Liguria, Marche and Campania are the next stages.